This is a fast system for business and home use. 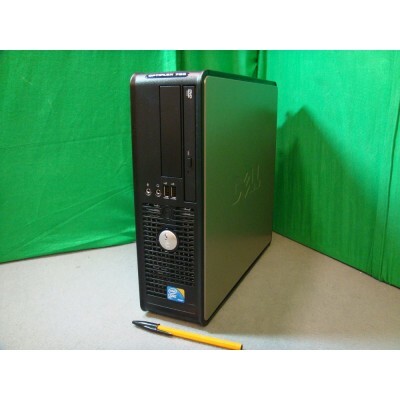 This is a fantastic PC, really quick for internet and office tasks! We supply this previously used system with a 30 day RTB warranty. The warranty covers the hardware only, we do not warrant software. All PCs have been fully tested before being sent out. If a problem does arise within the first 30 days, please contact us first by email or by phone, as most problems can be resolved this way. If we are unable to fix the problem over the phone then the item can be returned to us for repair at your expense and we will return it to you at ours. We will post the item using a fully tracked and insured service. Postage is to UK mainland only. We are unable to deliver to the following postcodes: PH19-44, PH48-50, IV, KW, PA20-88, ZE, KA27-28 and HS. We will post the item within 1 working day, for example if you buy on a Friday, Saturday or Sunday, we will post on Monday. Buy on any other day and we aim to get the item out same day if purchased before 11am, otherwise item will be sent next business day. Item is available for viewing / collection from our shop in Bolton. If paying with Paypal the item must be delivered to the address on the Paypal account.